Great news! Strike Suit Zero is now available on Android! We reviewed the game before when it came to PlayStation 4 and was quite surprised with how good it was. Now it’s available in hand held format. But, there is a condition to it. It may be available for Android now, but only for certain devices. Strike Suit Zero will only function on newer Android devices powered by the NVIDIA Tegra K1 processor such as the new Nexus 9 and NVIDIA SHIELD Tablet. If you’re looking for a real exciting game to play on any of these devices, I highly suggest checking out Strike Suit Zero. The game is available here for £4.99 / $7.99 / €5.99 in the Google Play Store. Guildford, 13 November 2014 – Born Ready Games, a British independent game development studio, has today released their space combat game Strike Suit Zero for Android devices powered by the NVIDIA Tegra K1 processor in devices such as the NVIDIA SHIELD tablet. The mobile release offers the full space combat action of the next-gen console version of Strike Suit Zero. With redefined gameplay, touchscreen and controller support, Strike Suit Zero takes full advantage of the high-end Tegra K1 mobile processor. The game delivers exciting dog fights with stunning visuals never seen before on mobile platforms. With HD resolution graphics supporting over 100 space ships simultaneously on screen, players participate in truly heated battles on a massive scale. Incredible next-gen full-screen effects such as bloom, anti-aliasing, HDR, depth of field and radial blur let you enjoy a high-end gaming experience on a mobile device. “We are very excited to bring the full Strike Suit Zero experience to Android for the first time. 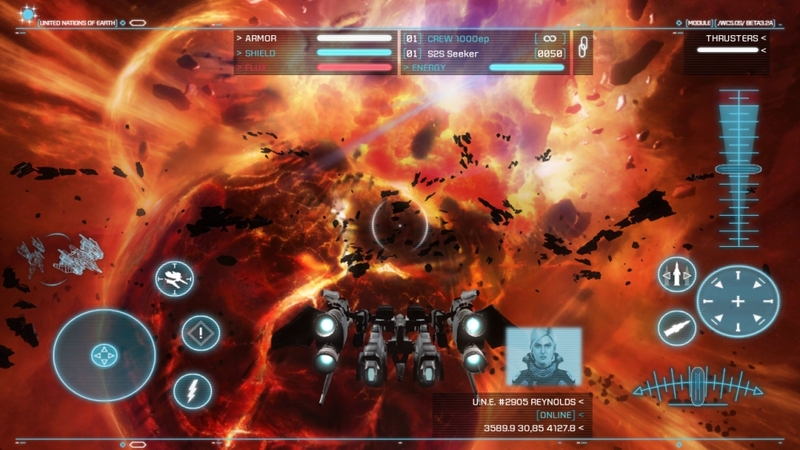 NVIDIA has been a fantastic partner to work with and it is only due to the amazing power of their new Tegra K1 chip that we can bring massive space battles to tablets and mobile devices.” says James Brooksby, CEO of Born Ready Games. Strike Suit Zero is now available for Android devices with a Tegra K1 processor such as the NVIDIA SHIELD tablet for £4.99 / $7.99 / €5.99. Engage intelligent enemy fighters and take on colossal capital ships, exploiting weak points in their super-structure to blow them apart. Upgrade your ships and customize your weapon load-outs to tailor combat to your tastes. Strike Suit Zero features highly detailed mecha and spaceship designs by renowned mecha designer Junji Okubo (Steel Battalion, Appleseed), and a wonderfully atmospheric score created by Paul Ruskay (Homeworld) and Kokia (Tales of Innocence, Origins: Spirits Of The Past ). For further information about the game please visit www.strikesuitzero.com.